An essential component of good pharmacy practice is the correct storage and monitoring of refrigeration to ensure that temperature-sensitive therapeutic goods are continuously stored between 2 and 8 degrees Celsius. 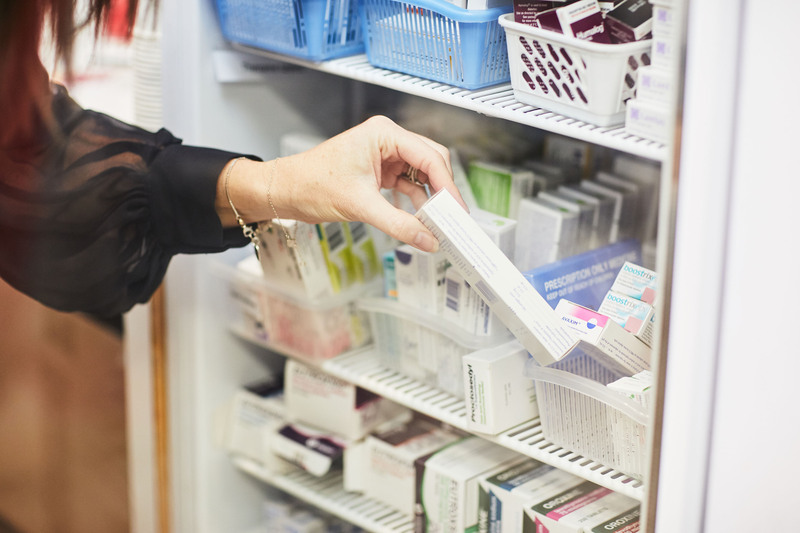 Consistent with Strive for 5 Guidelines, pharmacies must store temperature-sensitive therapeutic goods in a purpose-built refrigeration unit that is designed and constructed specifically for therapeutic goods. This includes purpose-built refrigeration units that are integrated within an automated dispensing system. The QCPP Compliant Dispensary Refrigerator list outlines which refrigerators are deemed compliant under the QCPP requirements. This list has been expanded to include refrigerators that have been determined to be QCPP compliant, e.g. refrigerators that are on the Australian Register of Therapeutic Goods (ARTG) in addition to Cold Chain Testing Centre (CCTC)approved refrigerators. Pharmacies have a choice of which provider confirms the accuracy of the refrigerator temperature. Pharmacies can choose to obtain their maintenance certification from the Cold Chain Testing Centre (CCTC) as per Element 5, or alternatively, through another approved service provider consistent with guidance provided in the Knowledge Hub. Evidence that accuracy has been confirmed through a service provided by an Australian Refrigeration Council (ARC) licensed refrigerator technician. QCPP is aware that the Cold Chain Testing Centre will continue to offer fee-for-service dispensary refrigerator testing services. You can contact the CCTC by emailing coldchain@nsw.guild.org.au, calling 02 9467 7110 or completing the Cold Chain Testing Request form. The Australian Department of Health’s Strive for 5 Guidelines offer best practice information and guidance on the storage of temperature-sensitive therapeutic goods. QCPP is aware that, in most states and territories, if your pharmacy is providing a vaccination service, you are expected to adhere to Strive for 5 Guidelines. These Guidelines include twice daily manual monitoring of refrigerator temperatures. QCPP also recommends that you refer to your state or territory health department policy to understand your full requirements. More information on temperature monitoring is available in the Knowledge Hub.